The Compassion in Mind Website is home to a wealth of resources and information about our services. or Dr Welford please use the contact form below. Compassion in Mind is based in the beautiful South West of England. Headed by Dr Mary Welford, Consultant Clinical Psychologist, the organisation provides psychological services and resources including the Compassion in Education initiative, therapy, performance coaching, supervision, training and consultation. 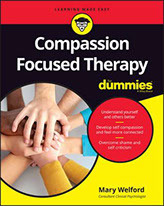 Compassion in Mind's approach draws upon cutting edge research from fields including neuroscience, attachment and evolutionary psychology and places the cultivation of compassion (for oneself and others) centre stage.